This book by Dr. E. H. McCleery describes the different subspecies of wolves, the psychology of his wolves, and provides anecdotes of the pack. It completely covers the time at the Kane wolf park, and a short amount of time at the Route 6 wolf park. The poem on the last page was written by the Kane High School class of 1926 and was featured in their yearbook "The Hurri-Kane." This book is not dated but I believe it was published between May and August 1929. 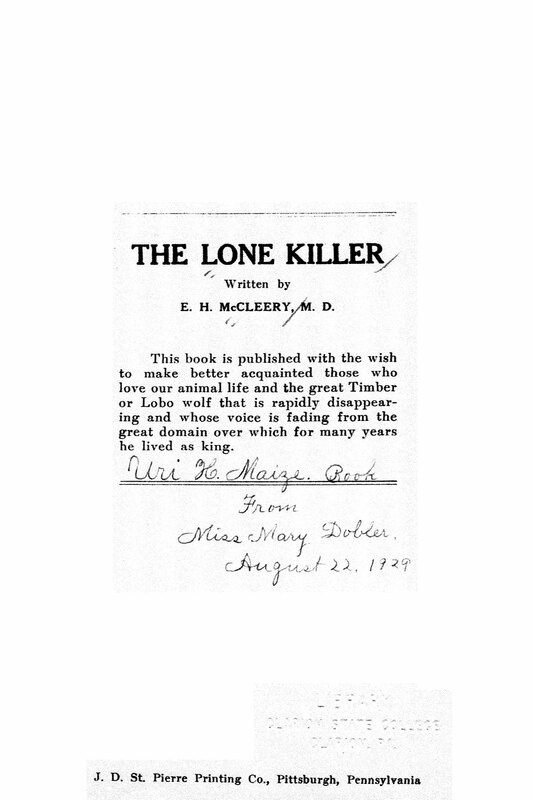 May 1929 was when the wolves were moved to the Route 6 park, which is mentioned in the book, and August was the earliest date I have seen on a signed copy of the book. 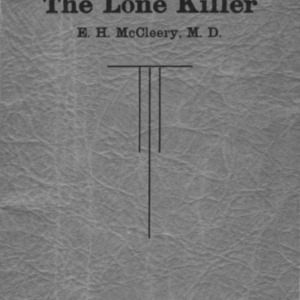 The first file is the complete book. The second file is a scan from the copy owned by the Friends' Memorial Public Library (Kane, PA) which identifies some of the wolves in the photos (and was a gift from Dr. McCleery to Carroll Virginia Mell*). 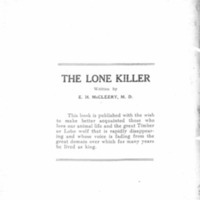 The third file is a scan from the copy owned by the Clarion State College Library (Clarion, PA) which dates the book as being published before August 22, 1929. *Carroll Virginia Mell, about seven years old in 1929, was the daughter of Howard Mell and Florence (Carroll) Mell, granddaughter of Martin T. Carroll, and niece of Rose V. Carroll. 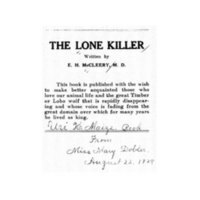 A copy is also owned by the Friends' Memorial Public Library in Kane, PA and by the McKean Historical Society in Smethport, PA. This book was published before 1977 without a copyright notice, so this book is in the public domain. Denver Zoo Lobo "Black Jack"
Named Wolf - Achilles Jr.